From thousands of years, wire is being manufactured by different types of methods. The manufacturing of wire is quite simple, but requires a higher degree of perfection. Earlier, wire are extruded while using strip & block twisting method, cranked pulling technique and hand pulling procedures. Each method has their own sets of merits and demerits. Today, different specifications of wire drawing dies are used for making wire in order to achieve better quality and uniform volume. Wire Drawing Dies are the set of highly polished tools with specially-shaped holes that are used for reducing the diameter of wires. They are made of tool set, tungsten carbide and diamond with tungsten carbide. Many tool sets and equipment are used in addition to drawing dies for drawing wire of uniform thickness. Wire drawing dies manufacturers have presented various types of configuration that are used for drawing different types of wire. Standard wire drawing dies, TC wire drawing dies, PCD wire drawing are some to mention. Depending upon the application, these dies are used. For instance, single crystal diamond dies are used for achieving very fine drawing. 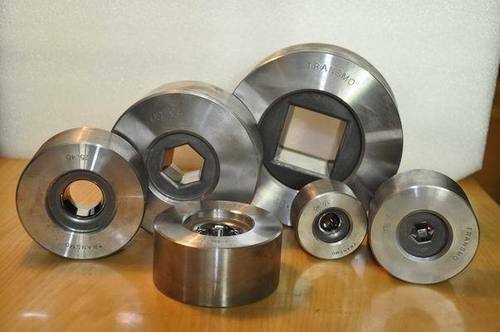 Cast steel dies are used for drawing hot wire and tungsten carbide dies are used for steel wire drawing. Dies are employed for guiding the wire for entering, moving through and existing bunching and stranding machines. 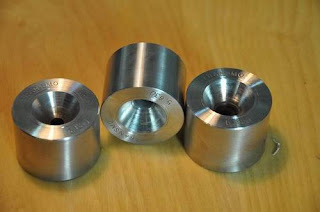 Therefore, dies are placed in a steel casing for backing the die and allowing easy die change. An angle of 6-15° is usually kept in dies with each die having at least 2 different angles, one is entering angle and other is approaching angle. The procedure of wire drawing involves hammering, filing, rolling and swagging of wire before feeding it to drawing dies for diameter reduction. Multiple drawings, through a smaller diameter of dies, are needed to achieve a desired diameter of wire and uniform volume. Over the years, the applications of wire have increased to a massive level. Which demands maintaining a high degree of quality and safety standards. As when it comes to meeting the broad needs of industries, safety and durability are the parameters of concern for most buyers. There is a great need of mature technology with advanced machines to control even minute details while manufacturing wire. Therefore, wire drawing dies are employed as they are capable of making high quality grade of wires. Thanks for sharing this post and information.